New Zealand has an open, transparent economy where businesses and investors can generally make commercial transactions with ease. Major political parties are committed to an open trading regime and sound rule of law practices. 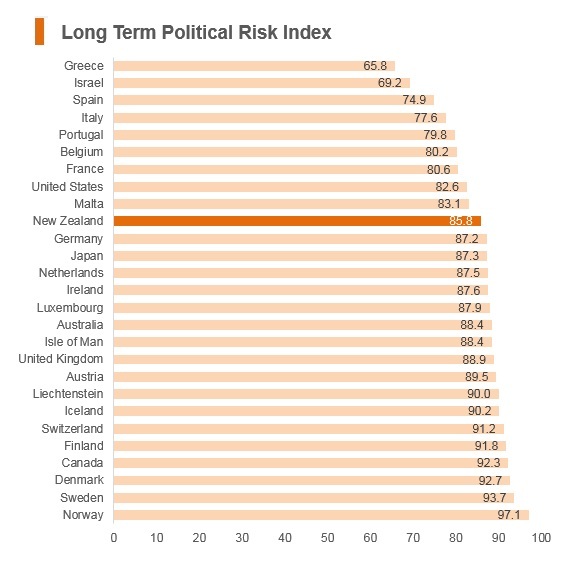 New Zealand is likely to remain one of the most stable states in the world over the coming decade. 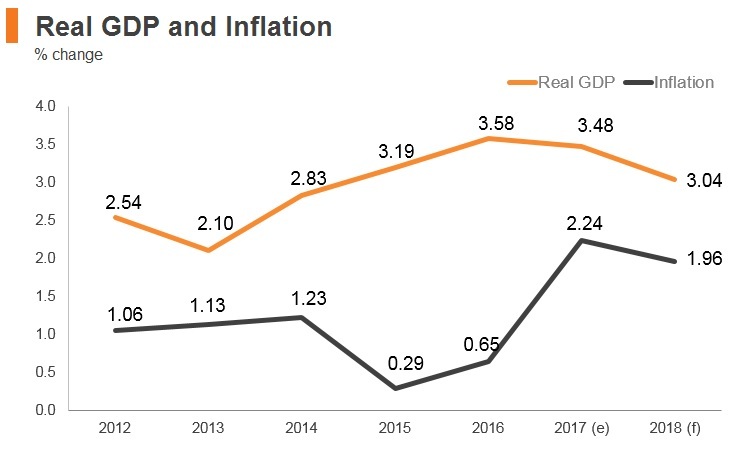 The government's main challenges are to maintain its budget surplus, improve the business environment to attract greater foreign investment and raise opportunities for the indigenous Maori population. In the realm of foreign policy, New Zealand is likely to continue relying on Australia. Bill English became prime minister after John Key quitted unexpectedly. Inconclusive parliamentary elections. Labour's Jacinda Ardern formed coalition government. 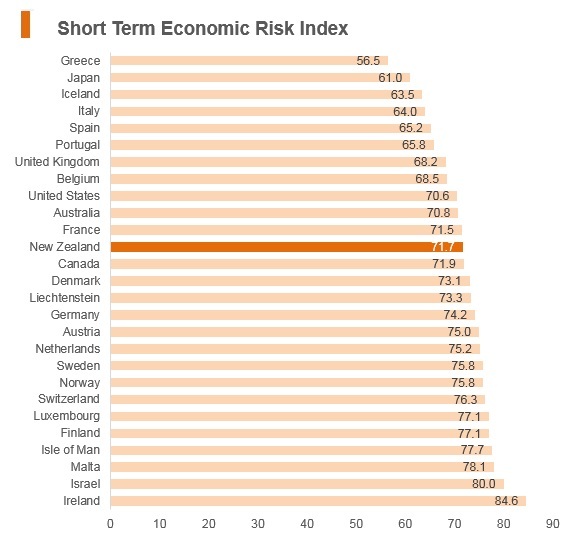 Over the last 30 years New Zealand’s economy has gone from being one of the most regulated in the OECD to one of the least regulated, most free-market based economies. 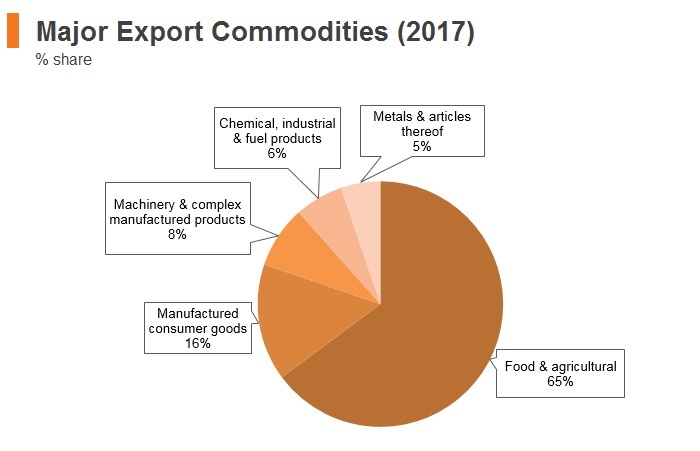 Various primary commodities account for around half of all goods exports and New Zealand is one of the top five dairy exporters in the world. The government has introduced initiatives under its Business Growth Agenda that promote New Zealand as a destination for overseas investment. 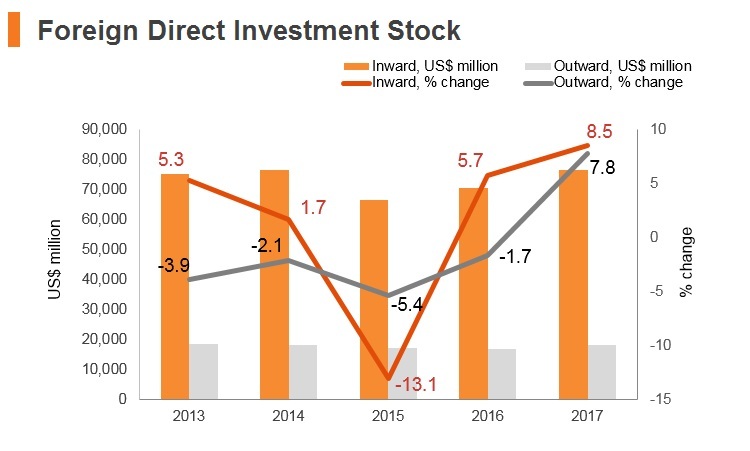 In 2015 the Government introduced an Investment Attraction Strategy to attract more “high quality” foreign direct investment; attract multinationals to undertake research and development in New Zealand; and attract individual investors and entrepreneurs to migrate and reside in New Zealand. In its strategy, the New Zealand Government aims to leverage existing offshore networks of the Ministry of Foreign Affairs and Trade (MFAT), New Zealand Trade and Enterprise (NZTE), Immigration New Zealand (Immigration NZ), and Kea New Zealand (a New Zealand government business networking initiative) to generate investment leads. In 2016 the Government issued new guidelines and increased resources for the entity that reviews certain foreign investment, the Overseas Investment Office, in response to investors’ concerns that waiting times for decisions were too long, and that the screening for certain investment types was unclear. 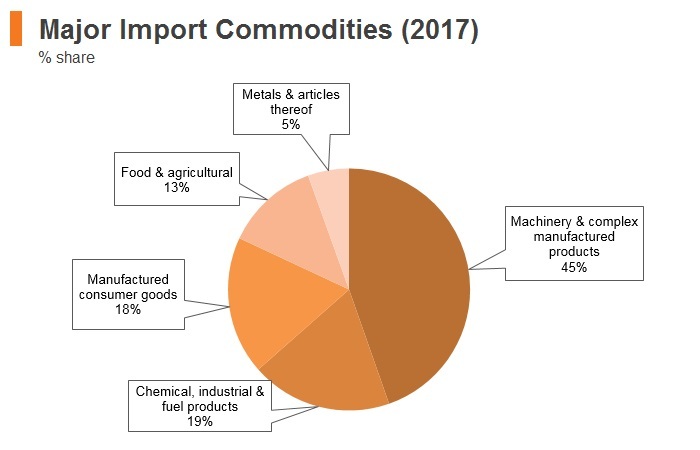 In November 2010, the government of New Zealand initiated a new anti-dumping investigation on certain agriculture and food products (peaches from Spain in this case). In August 2011 a definitive antidumping duty was imposed. The antidumping duty was terminated in February 2017 following the conclusion of a sunset review. 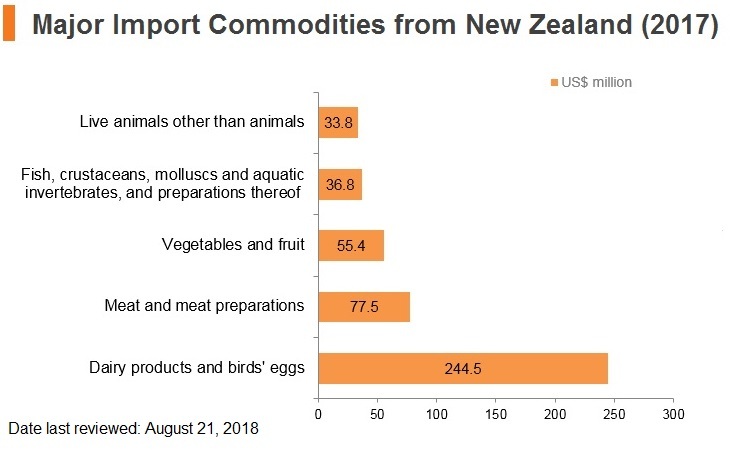 According to the WTO Tariff Download Facility, during 2012 the authorities of New Zealand changed their MFN import tariffs at the 6-digit HS code level for a number of products. New Zealand has a Trade and Investment Framework Agreement with Mexico that entered into force on October 21, 1996. New Zealand and Australia trade through a Closer Economic Relationship (CER), which is a free trade agreement eliminating all tariffs between the two countries. However, the rules of origin under the CER do not permit products to enter Australia duty free from New Zealand unless the products are of at least 50% New Zealand origin. Additionally, the last manufacturing process must be carried out in New Zealand. 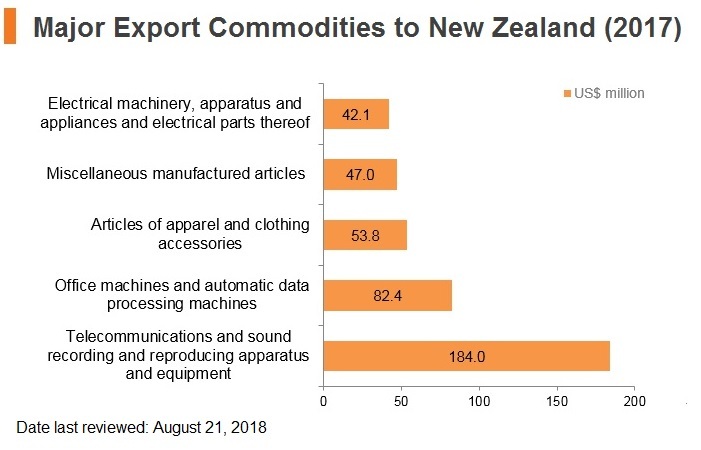 The enactment of the Free Trade Agreement (FTA) between Australia and the United States in 2005 removed any tariff disadvantage to firms that choose to re-export products from New Zealand to Australia. Tax registration is recommended when the investor incorporates the company with the Companies Office, but is required if the company is registering as an employer and if it intends to register for New Zealand’s consumption tax, the Goods and Services Tax (GST), which is currently 15%. Companies importing into New Zealand or exporting to other countries which have a turnover exceeding NZD60,000 over a 12 month period must register for GST. From October 1, 2016 the Taxation (Residential Land Withholding Tax, GST on Online Services, and Student Loans) Act 2016 requires non-resident suppliers of services, and digital downloads to New Zealand resident customers to register and return GST on their supplies if the supplies exceed, or are expected to exceed, NZD60,000 in a 12 month period. Cross-border remote services and intangibles include e-books, music, videos and software purchased from offshore websites to New Zealand-resident consumers. Non-resident suppliers will be required to determine whether a customer is a New Zealand resident on the basis of two set pieces of information. Special conditions apply to cross-border suppliers of telecommunication services. Offshore telecommunications providers are required to charge GST on services provided to non-resident consumers that are temporarily in New Zealand (for example, inbound roaming services), if the total value of their supplies exceeds the NZD60,000 registration threshold. New Zealanders must pay GST on goods that are not considered “low-value imported goods” on a de minimis basis as determined by Customs New Zealand, in addition to customs duty if applicable. New Zealand has a Trade and Investment Framework Agreement with the United States that entered into force on October 2, 1992. The Trans-Pacific Partnership would have been the first comprehensive trade agreement between the United States and New Zealand, however this agreement did not come to fruition. An FTA between New Zealand, Australia, and the Association of South East Asian Nations (ASEAN) entered into force January 1, 2010. The FTA contains a specific chapter on investment. New Zealand has an agreement on Economic Cooperation with the Separate Customs Territory of Taiwan, Penghu, Kinmen and Matsu, which entered into force on December 1, 2013. The agreement established rules between the two countries based on international best practice to facilitate investment flows and provide for the balanced protection of investment. New Zealand-Malaysia FTA: New Zealand and Malaysia signed an FTA October 26, 2009, that entered into force on August 1, 2010. The FTA contains a specific chapter on investment. New Zealand-China FTA: New Zealand concluded an FTA with China that entered into force on October 1, 2008. The FTA contains a specific chapter on investment. New Zealand and Australia trade through a Closer Economic Relationship (CER), which is a free trade agreement eliminating all tariffs between the two countries. However, the rules of origin under the CER do not permit products to enter Australia duty free from New Zealand unless the products are of at least 50% New Zealand origin. Additionally, the last manufacturing process must be carried out in New Zealand. The enactment of the Free Trade Agreement (FTA) between Australia and the United States on January 1, 2005, removed any tariff disadvantage to firms that choose to re-export products from New Zealand to Australia. New Zealand concluded a Closer Economic Partnership (CEP) agreement with Singapore that entered into force on January 1, 2001. New Zealand concluded a CEP agreement with Thailand that entered into force on July 1, 2005. The FTA contains a specific chapter on investment. New Zealand concluded a CEP with Hong Kong, which entered into force on January 1, 2011. New Zealand has an FTA with the Republic of Korea that entered into force December 20, 2015. New Zealand signed the Trans-Pacific Strategic Economic Partnership Agreement (the P4 Agreement) with Brunei, Chile, and Singapore that entered into force on May 28, 2006. The Trans-Pacific Partnership (TPP) is a trade agreement between Australia, Brunei, Canada, Chile, Japan, Malaysia, Mexico, New Zealand, Peru, Singapore, Vietnam, and United States signed on February 4, 2016, which was not ratified as required and did not take effect. After the United States withdrew its signature, the agreement could not enter into force. The remaining nations negotiated a new trade agreement called Comprehensive and Progressive Agreement for Trans-Pacific Partnership, which incorporates most of the provisions of the TPP. New Zealand is also negotiating an FTA with India, and entered into negotiations with the European Union in October 2015. New Zealand is in negotiations on the Pacific Agreement on Closer Economic Relations Agreement (PACER Plus) with Australia, Cook Islands, Federated States of Micronesia, Fiji, Kiribati, Nauru, Niue, Palau, Papua New Guinea, Republic of Marshall Islands, Samoa, Solomon Islands, Tonga, Tuvalu, and Vanuatu. New Zealand concluded work on an FTA with the Gulf Cooperation Council (GCC) on October 31, 2009, but the agreement has not yet been signed. New Zealand joined the Regional Comprehensive Economic Partnership (RCEP), launched at the East Asia Summit in November 2012. 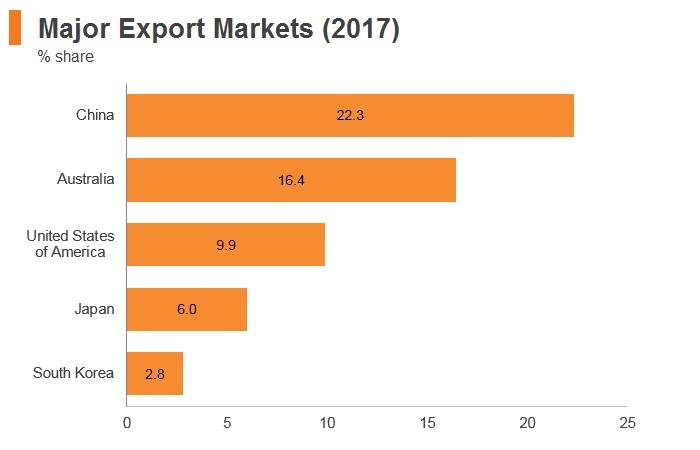 The RCEP developed among 16 countries: the ten members of ASEAN (Brunei, Cambodia, Indonesia, Laos, Malaysia, Myanmar, the Philippines, Singapore, Thailand, and Vietnam) and the six countries with which ASEAN has existing FTAs - Australia, China, India, Japan, Korea, and New Zealand. New Zealand has an open economy that works on free market principles. New Zealand has an open, transparent economy where businesses and investors can generally make commercial transactions with ease. Major political parties are committed to an open trading regime and sound rule of law practices, and the country enjoys minimal corruption. This is regularly reflected in high global rankings in the World Bank’s Ease of Doing Business report and Transparency International’s Perceptions of Corruption. In the aftermath of the GFC, the government made changes to the financial system to shore up investor confidence. 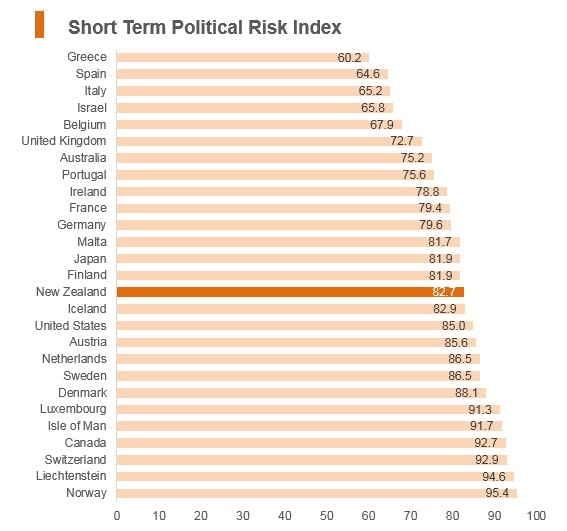 Significant legislative changes included: the establishment of a regulatory body, the Financial Markets Authority under the Financial Markets Authority Act, introduction of the Financial Markets Conduct Act, the Financial Reporting Act, and the Anti-Money Laundering and Countering Financing of Terrorism Act. New Zealand currently has signed bilateral investment treaties (BITs) with four partners: Argentina (August 1999), Chile (July 1999), China (November 1988), and Hong Kong (July 1995), but only the BITs with China and Hong Kong have entered into force. Besides these treaties, the country has concluded a number of economic agreements that also contain provisions on investment. The NZTE is New Zealand’s primary investment promotion agency. The New Zealand Overseas Investment Office (OIO) screens foreign investment that falls within certain criteria. Under the Overseas Investment Act 2005, the OIO requires consent be obtained by overseas persons wishing to acquire or invest in significant business assets, sensitive land, farm land, or fishing quota. A “significant business asset” includes: acquiring 25% or more ownership or controlling interest in a New Zealand company, where the value of the New Zealand company’s assets (including its 25% or more subsidiaries) in New Zealand exceeds NZD100 million (USD71 million); establishing a business in New Zealand where the business is carried on for more than 90 days in any given year and the total expected expenditure to be incurred, before commencing the business to establish it exceeds NZD100 million; or acquiring business assets in New Zealand where the total value of consideration provided exceeds NZD100 million. 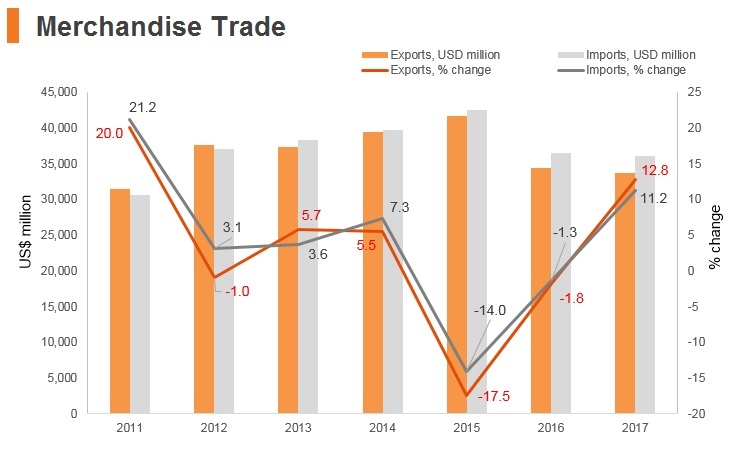 For all three categories the threshold is increased for Australian non-Government investors to (currently) NZD498 million (USD353 million) in accordance with the 2013 Protocol on Investment to the New Zealand-Australia Closer Economic Relations Trade Agreement. OIO consent is required for overseas investors to purchase or acquire an interest (when that interest is three years or more) in “sensitive land” either directly or through acquiring an ownership or control interest of 25% or more in a person who owns or controls the sensitive land. Sensitive land includes any which: exceeds five hectares (12.35 acres) and is non-urban land; forms part of or adjoins the foreshore or seabed as defined in Section 6 of the OIO Act; exceeds 0.4 hectares and forms part of the Conservation Act 1987 or is proposed land for a reserve or public park; is subject to a Heritage Order, or is a historic or wahi tapu area (sacred Maori land); or is considered “special land” that is defined as including the foreshore, seabed, riverbed, or lakebed, and it must be first offered to the Crown by the current owner. If the Crown accepts the offer, it can only acquire that part of the “sensitive land” that is “special land” and can acquire it only if the overseas person completes the acquisition of the sensitive land. Where a proposed acquisition involves “farm land” (land used exclusively or principally for the purpose of agriculture, horticulture or pastoral purposes, or for the keeping of bees, poultry, or livestock), the OIO cannot approve the purchase by an overseas person unless the land is first advertised and offered on the open market in New Zealand to persons who are not overseas persons, in accordance with the procedure set out in the OIO Regulations. The Crown can waive this requirement in special circumstances at the discretion of the relevant Minister. Foreign investment in New Zealand is generally welcomed and encouraged without discrimination. With minimal corruption, New Zealand has an open, transparent economy, where businesses and investors can generally make commercial transactions with ease. With few exceptions, foreigners may invest in any sector of the economy, and there are generally no limits on foreign ownership or control. New Zealand has a rapidly expanding network of bilateral investment treaties and free trade agreements with investment components designed to facilitate increased investment. New Zealand also has a well-developed legal framework and regulatory system, and the judicial system generally upholds the sanctity of contracts. There are no restrictions on the inflow or outflow of capital, and expropriation is not a major concern for investors. The mechanism for handling disputes is the judicial system, which is generally open, transparent and effective in enforcing property and contractual rights. Private entities generally have the right to freely establish business enterprises, and both real and intellectual property rights are well protected. 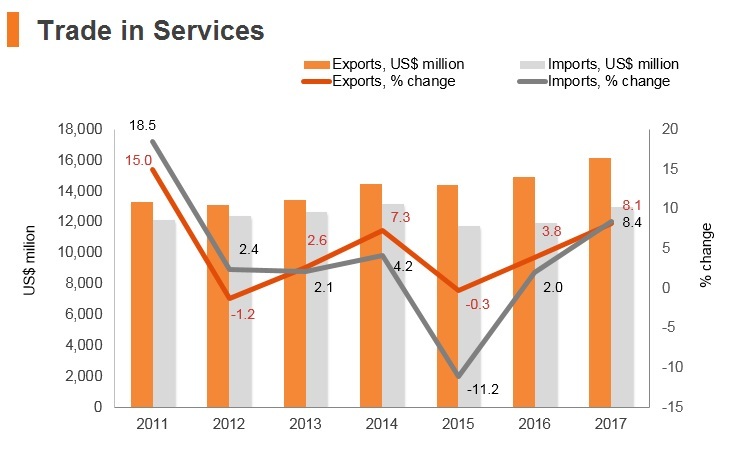 In 2016 the Government introduced its International Investment Attraction Strategy to lift private business investment, in part to fulfil specific targets in the Government’s Business Growth Agenda. The strategy includes cross-agency participation in initiatives that involve the Ministry of Business, Innovation, and Employment (MBIE), MFAT, the Ministry for Primary Industries (MPI), NZTE, Immigration NZ, Callaghan Innovation, and the New Zealand Treasury. 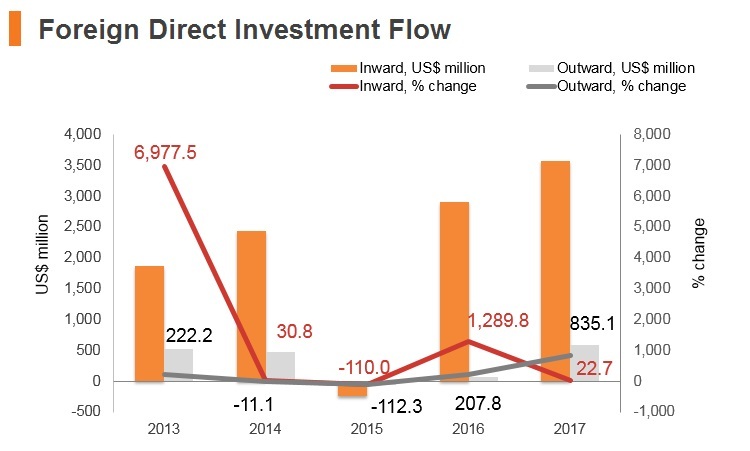 Its three priorities are to attract more “high-value” foreign direct investment, increase the number of multinational companies to undertake their research and development in New Zealand, and to attract and retain individual investors and entrepreneurs to reside in New Zealand. The strategy includes targets for the number of new international companies undertaking R&D and doubling the amount of capital that migrant investors bring to New Zealand. To attract more individual investors and entrepreneurs, over the past two years the Government has added more visa categories for investors, and is trialling a four-year Global Impact Visa program that targets younger, high-impact entrepreneurs, and start-up teams to launch global ventures in New Zealand. The Government has offered tailored promotional events to key offshore markets in order to secure investors and entrepreneurs to New Zealand, and aims to offer applicants a responsive, personalized service to facilitate further investment. Under certain criteria, foreign businesses and individuals can bid alongside New Zealand businesses for contestable funding offered by the government for research and innovation grants. In its Regional Investment Attraction program, the government has identified sectors by region that are working to attract foreign investment, including forestry in Northland and energy in Taranaki. During 2016, the Government made changes to visas and increased incentives for new migrants to live in regions outside Auckland. For investments that require OIO screening, the investor must demonstrate the necessary business experience and acumen to manage the investment, demonstrate financial commitment to the investment, be of “good character”, and not be a person who would be ineligible for a permit under New Zealand immigration law. Any application to purchase land must also satisfy a “substantial and identifiable benefit to New Zealand” test (also known as the “counterfactual test”), unless the investor intends to live in New Zealand indefinitely. The OIO monitors foreign investments after approval. All consents are granted with reporting conditions, which are generally standard in nature. Investors must report regularly on their compliance with the terms of the consent. Offenses include: defeating, evading, or circumventing the OIO Act; failure to comply with notices, requirements, or conditions; and making false or misleading statements or omissions. If an offense has been committed under the Act, the High Court has the power to impose penalties, including monetary fines, ordering compliance, and ordering the disposal of the investor’s New Zealand holdings. The New Zealand Government does not discriminate against foreign investors, but has placed separate limitations on foreign ownership of Air New Zealand and Spark New Zealand (Spark), the latter formerly known as Telecom Corporation of New Zealand until 2014. According to Air New Zealand’s constitution, no person who is not a New Zealand national may hold or have an interest in equity securities which confer 10% or more of the voting rights without the consent of the Minister of Transport. There must be a maximum of eight directors and a minimum of five directors of Air New Zealand. At least three directors must be ordinarily resident in New Zealand. The majority of the Air New Zealand Board of directors must be New Zealand citizens. In 2013 the Government sold down its stake in Air New Zealand from 73% to 53% to raise money to pay down debt. The constitution of Spark requires that at least half of the Board be New Zealand citizens and at least one director must live in New Zealand (or otherwise meet the requirements of the Companies Act (1993). Their constitution also requires that no person shall have a relevant interest in 10% or more of the voting shares without the consent of the Minister of Finance and the Spark Board, and no person who is not a New Zealand national shall have a relevant interest in more than 49.9% of the total voting shares without the written approval of the Minister of Finance. The restriction has been in place since Spark was privatized in 1990, and is motivated in part because of the vital emergency services it provides. A demerger of Spark in 2011 to create telecommunications infrastructure provider Chorus, meant that Spark would be free to compete with other telecommunications retailers and would no longer be subject to the Kiwishare obligation under the Telecommunications Amendment Act 2011. Total foreign acquisition of 10% or more of Chorus voting shares requires approval by New Zealand shareholders and the Chorus board. Any foreign investor wishing to acquire 49.9% or more of Chorus’ voting shares must obtain separate government approval. In 2014 the Crown decided to waive this restriction when a private company was granted approval to acquire an interest not exceeding 15% of Chorus shares. Chorus’ Constitution provides that the Board must comprise between five and twelve Directors, and that a majority of Directors (including the Chairman) must meet the independence requirements, and requires at least half of the Board to be New Zealand citizens. Under the Taxation (Bright-line Test for Residential Land) Bill, properties bought on or after October 1, 2015, will accrue tax on income earned if the house is bought and sold within two years, unless it is the owner’s main home or another exception applies. Foreign purchasers will be required to have both a New Zealand bank account and a New Zealand Inland Revenue (IRD) tax number, and they will not be entitled to the “main home” exception. The IRD number, together with any other taxpayer identification number held in countries where the purchaser pays tax on income, will need to be submitted to the property lawyer completing the Land Transfer Tax Statement. In order to push back against the escalating use of New Zealand shell companies for illegal activities, the Companies Amendment Act 2014 and the Limited Partnerships Amendment Act 2014 introduced new requirements for companies registering in New Zealand. From October 2015 companies must have at least one director that either lives in New Zealand, or lives in Australia and is a director of a company incorporated in Australia. All new companies incorporated in New Zealand from May 2015 must provide the date and place of birth of all directors, and provide details of any ultimate holding company. The Acts introduced offences for serious misconduct by directors that results in serious losses to the company or its creditors, and aligns the company reconstruction provisions in the Companies Act with the Takeovers Code. The Companies Office holds an overseas business-related register, and provides that information to persons in New Zealand who intend to deal with the company or to creditors in New Zealand. The information provided includes where and when the company was incorporated, if there is any restriction on its ability to trade contained in its constitutional documents, names of the directors; its principal place of business in New Zealand, and where and on whom documents can be served in New Zealand. In 2016 the New Zealand Parliament passed the New Zealand Business Number (NZBN) Act, which enables eligible entities to be allocated a unique identifier to conduct business more efficiently and to interact more easily with the government while at the same time protecting the entity’s security and confidentiality of information. All companies registered in New Zealand have had NZBNs since 2013. The Act extends the allocation of NZBNs to other kinds of businesses such as sole traders and partnerships. The New Zealand Commerce Commission (ComCom) is an independent Crown entity charged with enforcing legislation that promotes competition. The key competition law statute in New Zealand is the Commerce Act 1986, which covers both restrictive trade practices and the competition aspects of merger and acquisition transactions. 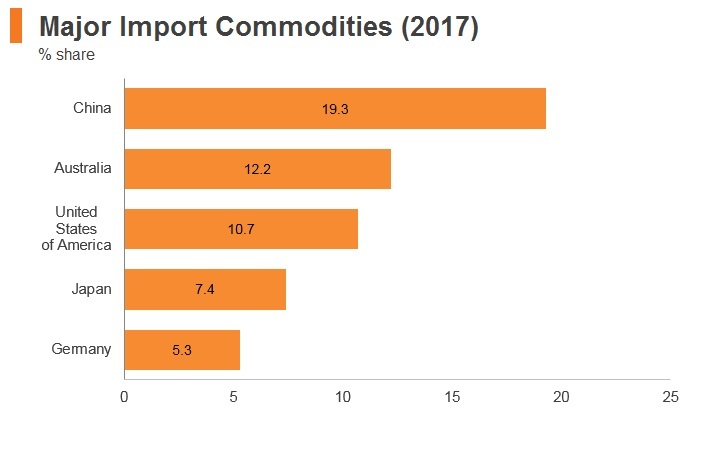 In addition, the Commerce Commission also enforces a number of pieces of legislation that, through regulation, aim to provide the benefits of competition in markets with certain natural monopolies, such as the dairy, electricity, gas, airports, and telecommunications industries. Callaghan Innovation is a stand-alone Crown Entity established in February 2013. It connects businesses with research organizations offering services, and the opportunity to apply for government funding and grants that support business innovation and capability building. Callaghan Innovation requires businesses applying for any of their research and development grants to have at least one director who is resident in New Zealand and to have been incorporated in New Zealand, have a centre of management in New Zealand, or have a head office in New Zealand. Commercial fishing in New Zealand is controlled by the Fisheries Act 1996 and parts of the Fisheries Act 1983 that have not been repealed. In order to achieve sustainable management of fisheries resources, the Fisheries Act 1996 sets out a quota management system that means no commercial fishing of a species controlled by the Act can be undertaken within New Zealand’s territorial waters without the ownership of a fishing quota specifying the quantity of fish that may be taken. The OIO Act and OIO Regulations, together with the Fisheries Act, requires consent from relevant Ministers in order for an overseas person to have an interest in a fishing quota or an interest of 25% or more in a business that directly or indirectly, owns or controls a fishing quota. New Zealand does not have any foreign trade zones or duty-free ports. New Zealand has no specific economic incentive regime because of its free trade policy. 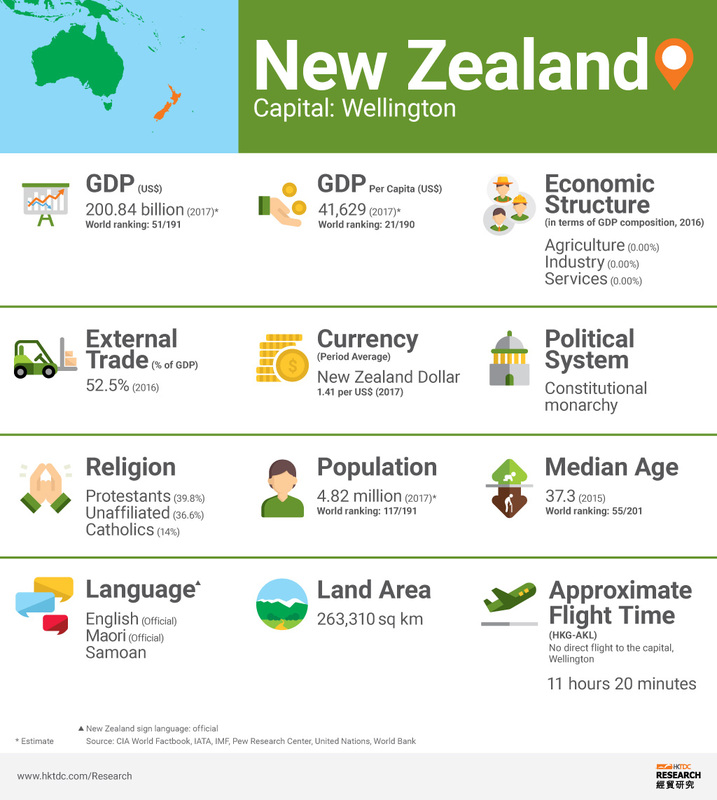 The New Zealand government, through its bodies such as Tourism New Zealand and NZTE, provides assistance in certain sectors such as tourism and the export of locally manufactured goods. In the media and entertainment sector, the New Zealand government announced changes to the structure and the level of support for international and New Zealand film and television productions in December 2013. Key technical changes that became effective from April 1, 2014, included combining the Large Budget Screen Production Grant and Screen Production Incentive Fund into a new grant called the New Zealand Screen Production Grant; increasing the grant rebates from 15% for international productions to 20%, with an additional 5% available for productions that meet a significant economic benefit points test; introducing a single 40% grant for New Zealand film and television productions that meet the significant New Zealand content points test; and allowing for New Zealand productions (between NZD15 million to NZD50 million) to receive a grant on the basis that the Crown receives a share of any revenue, for reinvestment in the screen sector. In the energy and mining sector, the New Zealand Government introduced the annual Oil and Gas Block Offers in 2012 as a means to raise New Zealand’s profile among international investors in the allocation of petroleum exploration permits. The government conducts the process in consultation with industry, iwi (Maori tribes), and the local governments affected. The Work to Residence (Accredited Employer) instructions apply if an applicant has a job offer from an accredited employer. The job offer must be for a full-time position (at least 30 hours) for two years or longer, the annual salary must be at least NZD55,000, and the applicant must be 55 years of age or younger. Work visas under the Work to Residence (Accredited Employer) instructions are valid for 30 months from the applicant’s first date of entry into New Zealand. The applicant becomes eligible to apply for a residence visa after he or she has worked for an accredited employer for two years and if he or she meets the residence instructions. The two other types of Work to Residence categories are Long Term Skill Shortage (for those earning at least NZD45,000 per year and meeting the requirements in an occupation listed on the current Long Term Skill Shortage List) and Arts, Culture and Sport (for those demonstrating an international reputation in a declared field of arts, culture or sports and meeting all other requirements). The Specific Purpose or Event instructions apply if the applicant is entering New Zealand for a specific purpose or event for which the applicant has demonstrated skills, expertise or attributes that are likely to benefit individuals and/or New Zealand and if no risk of a negative impact on opportunities for New Zealand citizens or residents exists. Under these instructions, a labour market test is not required, but the employer is required to provide either a support letter or a copy of the job offer. Work visas under the Specific Purpose or Event instructions are generally valid for the duration of the activity in New Zealand. Immigration New Zealand prioritizes the processing of Work to Residence visa applications over other work visa applications. All individuals who enter New Zealand must meet applicable good health and character requirements. All work visa applicants must meet the generic temporary entry instructions. This includes health and character requirements. The Essential Skills instructions generally apply to an applicant who has been offered full-time employment with a New Zealand employer. An applicant must provide evidence that he or she is suitably qualified by training and experience to perform the job offered to him or her, and the employer must provide evidence that no suitably qualified New Zealanders can perform the job offered to the applicant (that is, a labour-market test). Work visas under the Essential Skills instructions are generally valid for upto three years but may be granted for up to five years if the job requires a high skill level and if the annual salary is above NZD55,000. Experienced businesspersons who wish to obtain a work visa to enter New Zealand to establish and operate a business can apply under the Entrepreneur work visa category. If certain conditions are met, the applicant can eventually obtain New Zealand residence under the Entrepreneur residence visa category. To apply for an Entrepreneur work visa, in addition to meeting health and character requirements, applicants must satisfy the following requirements: they must have a minimum capital investment of NZD100,000; they must meet or exceed the pass mark on a scale that awards points for factors relating to the likely success of the proposed business and its value to New Zealand. The Investor categories are open to applicants who wish to obtain residence in New Zealand through investment. Under the Investor Plus category, an applicant must invest NZD10 million for three years in New Zealand. No age, English language, business experience or settlement funds requirements are imposed. 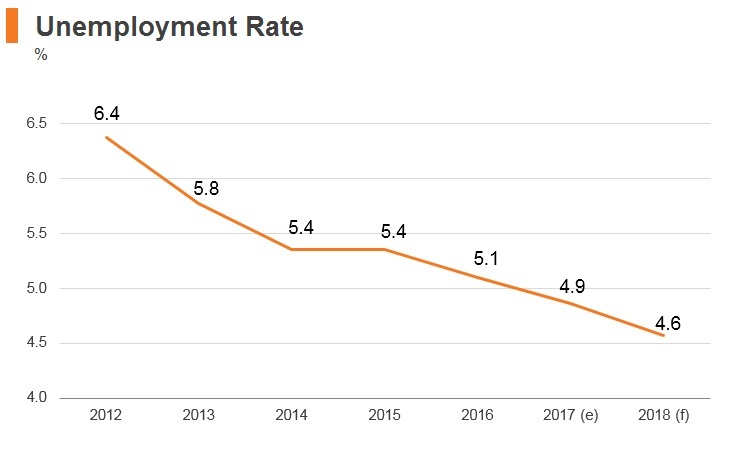 Applicants who wish to invest between NZD3 million and NZD9.75 million must be 65 years old or younger, have at least three years of recognized business experience, have a minimum of NZD1mn in net assets to be used as settlement funds in addition to investment funds (although these assets do not need to be transferred to New Zealand) and they must be competent users of English. Under both categories, the required amounts must be invested into acceptable investments, as prescribed by Immigration New Zealand. Like all visa categories, all applicants in the above categories must also meet New Zealand’s health and character requirements. Investor applicants must also be physically present in New Zealand for prescribed time periods for each of the investment years. On May 17, 2011, New Zealand changed its business immigration scheme simplifying the process of migration for foreign investors and managers applying for permanent residency visas. The new legislation act foresees that foreign investors who invest more than NZD10 million only have to stay for an annual minimum of 44 days in the country instead of 73 days before the amendment in order for them to be granted a permanent residency visa in New Zealand. Furthermore, business migrants will also need to only meet one of the two requirements of either having managed a business with five full-time employees or a business with at least a USD1 million annual turnover rather than having to meet both requirements as was previously the case. Business visitors who are from Australia, United Kingdom or the visa-waiver countries such as Hong Kong are not required to formally apply for business visitors’ visas before traveling to New Zealand. They are granted business visitors’ visas on arrival in New Zealand for no more than three months only if they are undertaking one of the following activities: a representative on official trade missions recognized by the New Zealand government; a sales representative from an overseas company; an overseas buyer of New Zealand goods or services; a person undertaking business consultations or negotiations in New Zealand with respect to the establishment, expansion or winding up of a business enterprise in New Zealand involving the authorised representatives of an overseas company Business visitors must not undertake work in New Zealand regardless of where or how they are remunerated. If an individual will be in New Zealand for periods totaling more than three onths in any one year or if he or she is not undertaking one of the activities noted above, he or she must apply for a work visa. In general, all visitors to New Zealand must apply for a visa to enter the country. Some exceptions to the general rule exist. Australian citizens and individuals who hold a current Australian permanent residence visa or a resident return visa do not need to formally apply for a New Zealand visa to enter New Zealand. UK passport holders who produce evidence of the right to reside permanently in the United Kingdom can be granted a visitor visa for up to six months on arrival in New Zealand. Individuals from certain jurisdictions, including Hong Kong and Singapore, who will be in New Zealand for less than three months as a visitor do not need to apply for a visa before traveling to New Zealand. Visitors are not permitted to work in New Zealand. All visitors must provide travel tickets or evidence of onward travel arrangements and evidence of funds to support themselves while in New Zealand. 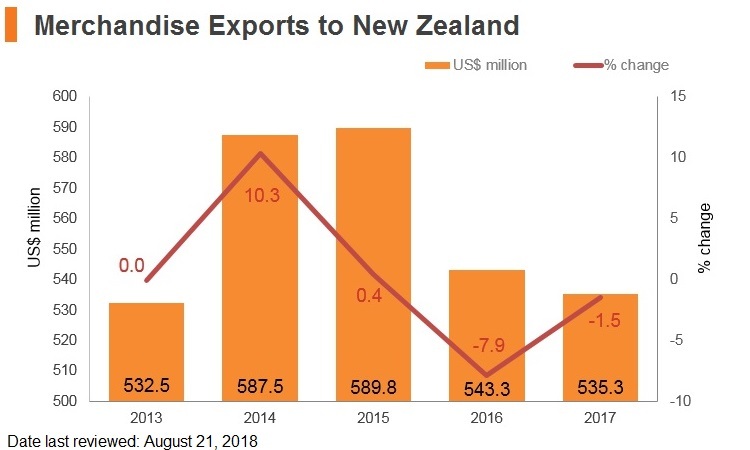 New Zealand operates a Recognized Seasonal Employer Scheme that allows the horticulture and viticulture industry to recruit workers from overseas - mostly from the Pacific Islands - for seasonal work to supplement their New Zealand workforce. A similar program was introduced for construction workers in Canterbury, and for tourism and hospitality workers in Queenstown. Workers with skills on the immediate lists will find it easier to apply for temporary work visas and, in the case of long-term shortages, resident visas. However MBIE operates under strict criteria in order for occupations to be listed. Immediate skill shortages exist mainly in the construction, trades, engineering, health, and agriculture industries. 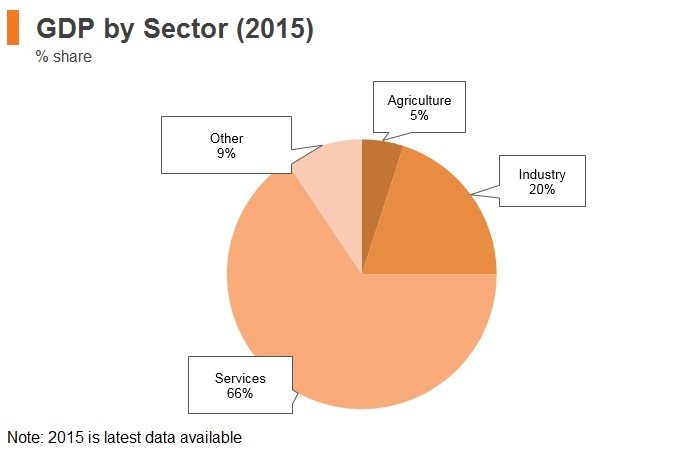 The New Zealand economy is boosted by the country's low reliance on agriculture imports. 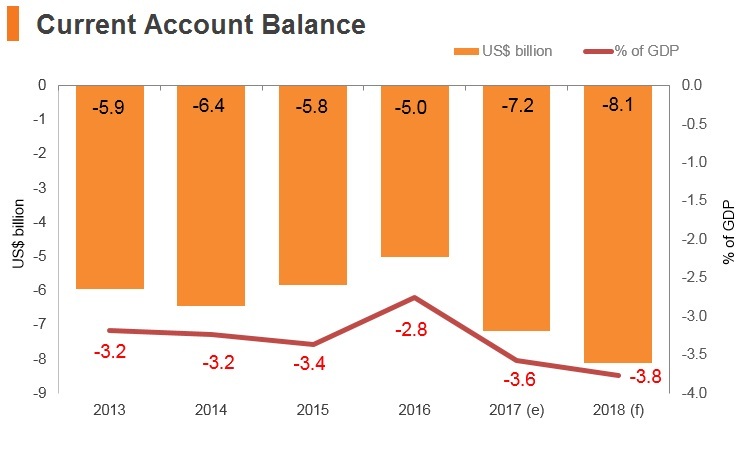 Nevertheless, there appears to be growing dependence on its milk powder exports to China, as well as a reliance on external financing, and the economy faces downside risks due to a still precarious property market. 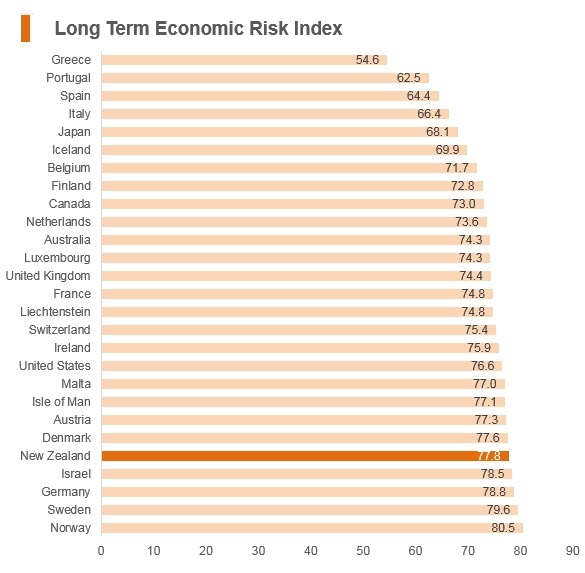 New Zealand's Operational Risk rating is among the highest globally, and the country scores strongly in the 'crime and security risk' and while the 'trade and investment risk' categories. 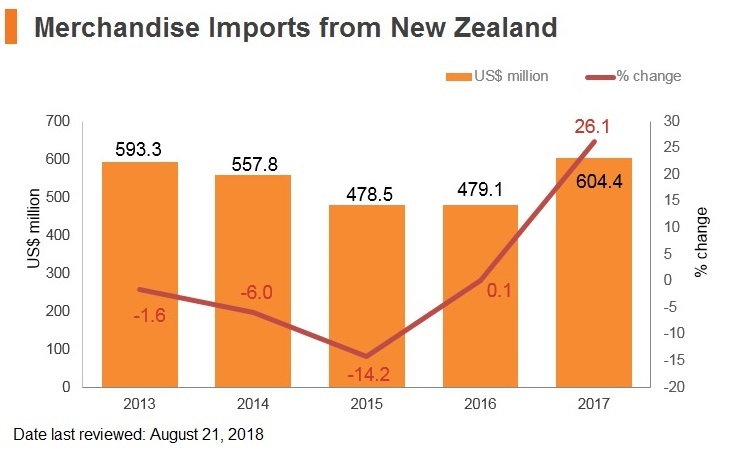 The New Zealand government has made significant progress in recent years in signing Free Trade Agreements with its main trading partners, lowering tariff and non-tariff barriers. New Zealand has entered into comprehensive double tax treaties with Hong Kong and mainland China. New Zealand and Hong Kong entered into a Double Tax Agreement (DTA) which came into effect on April 1, 2012. Citizens of visa waiver countries such as Hong Kong don't have to apply for a visa before travelling to New Zealand if: they are visiting for 3 months or less. New Zealand nationals whose passports have at least six months validity can enter Hong Kong for a period of up to three months without a visa.